We join the adults in church for the first 15 minutes, which usually includes 10 minutes especially for us, and then we go out to our different groups. The older group (11 – 15+) meet upstairs to share biscuits and drinks as we chat, discuss bible stories and issues relating to our personal experiences and take part in other activities such as drama. Cookie Club (3 – 10+) share news, read bible stories, play games, join in drama and music activities a well as doing lots of craft. Children under 3 play in the crèche. Sometimes we get the chance to take part in, or even lean lead the service, and perform plays or present videos, which we often help to plan. Dear parents and carers, The service starts at 10.30. After the first part of the service the children go out to their separate groups. The service usually ends at about 11.30. Everyone is welcome to have a cup of tea or coffee in the hall afterwards. We would invite you to come along with your child, but if he or she is over 5 you can bring them along at 10.30 and collect them again after the service. We have been running a ‘Holiday Club’, for local children aged between 5 and 11, during August, for the past seven years. We offer themed activities every morning during the week and one full day which includes a picnic, usually at Mallinson’s campsite. The ‘Holiday Clubs’ have proved very popular and many children have attended more than one. The latest club ran from 19th to 23rd August with a ‘water’ theme. 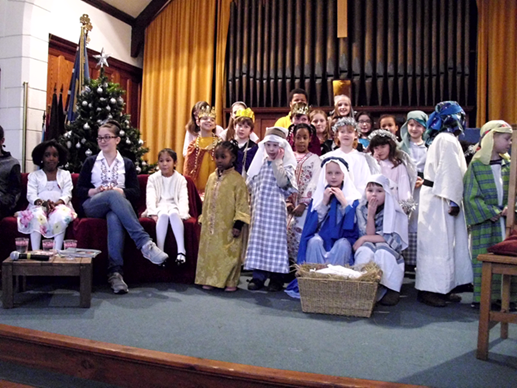 41 children attended and a good time was had by all. We have a safeguarding policy to ensure that all young people are respected, valued and protected. 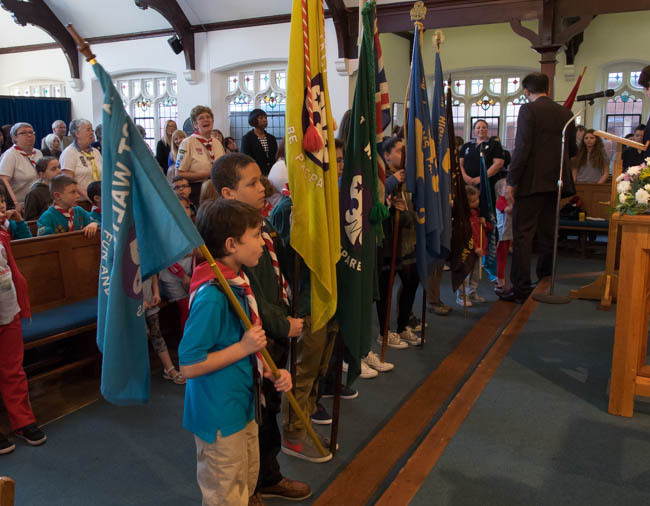 All adults, working with children, have been checked by the Disclosure and Barring Service and follow the safeguarding procedures outlined in the Church policy.